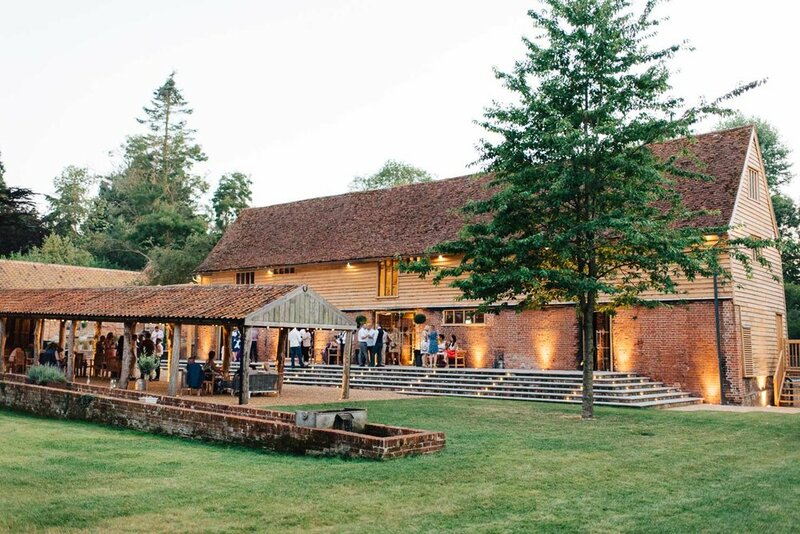 With its effortless blend of the old and the new, the Tudor Barn provides the perfect canvas for your special day. With so many wedding venues in Essex and Suffolk, the search for the right one can be stressful and overwhelming. With this in mind, we’ve designed the Tudor Barn to not only provide you with a unique wedding venue but also an incredibly flexible space. With its effortless blend of the old and the new, the Tudor Barn provides the perfect canvas for your special day. 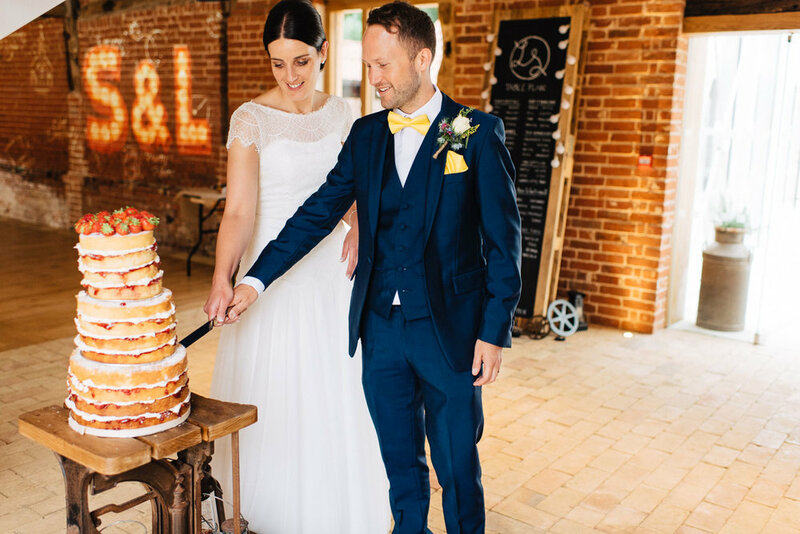 Immaculately finished, the barn itself has an abundance of natural light and space to comfortably seat 120, with a maximum indoor capacity of 150, for your wedding breakfast. In the summer months, even more seating can be achieved on our raised terrace and covered former horse yard. Come the evening portion of your celebrations, we’ve capacity for 200 people. The 7 acres of landscaped informal wooded grounds that surround the Tudor Barn provide the perfect backdrop for wedding photographs. In addition these can be used to site additional marquee space, outdoor games on the lower meadow, fire pits for toasting marshmallows or keeping warm, staging spectacular fireworks displays and so much more. If you tell us what you want, or need a source of inspiration, we’ll help you make it happen. 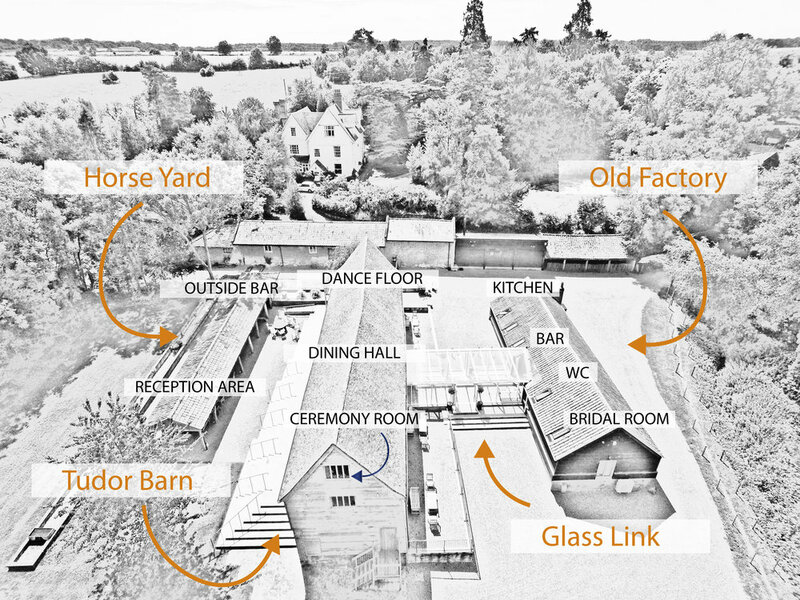 The timber-framed barn, dating from the late 16th Century, is linked to our kitchen, bar, bridal suite, and luxury toilets by a spectacular up-lit glass walkway, which also forms a breathtaking entrance lobby to the venue. On the eastern side of the Tudor Barn we have a raised terrace, overlooking our covered former horse yard and grounds, which provides an exceptional space to spill onto on a summer’s evening or to receive your guests with welcome drinks and canapés. In the winter, provided there is good weather, optional outdoor heaters can warm the terrace for you and your guests. The Tudor Barn will be exclusively yours for your special day, with a flexible pricing structure that allows for optional extras, hire of our unique wedding venue in 2017 starts at £3,900 for a weekday event. Please call +447795965307 for reservation enquiries. Such a shame we can't do it all again.. Stunning building and gorgeous grounds..
Definitely a hidden gem of a venue..